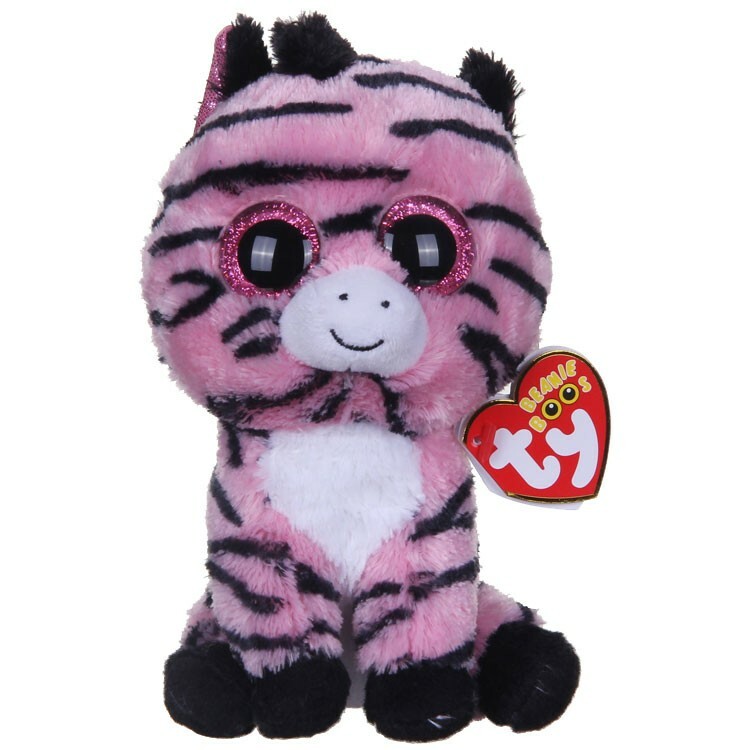 Zoey is made from a fuzzy pink material covered in black stripes. She has large sparkly pink and black button eyes and a white muzzle with black stitching for her nostrils and mouth. Her black ears are shiny pink inside them and she has black hooves and a white belly. Zoey was introduced on 30th December 2014. Her birthday is on 18th April. This is the regular 6″ version of Zoey. She was also released as a larger 9″ Beanie Boo Buddy and as a key clip.